Superb Double, Twin, and Family En suite rooms. Delicious cooked breakfasts in Spacious Dining room. T.V and well stocked hospitality trays in all rooms. 5 Minutes Walk to city centre, Medieval walls and riverside walk. We pride ourselves on friendly service, comfortable en suite rooms and convenient location, just 5 mins walk from the city centre. 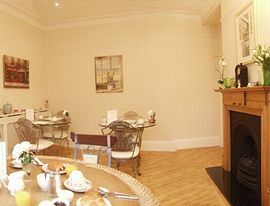 Enjoy a full English breakfast in our dining room before heading off to see the sites of York. 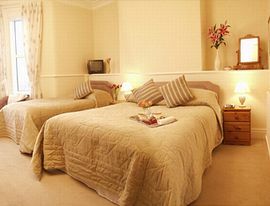 Southlands Guest House offers you a relaxing break in one of its Three tastefully decorated and spacious rooms. 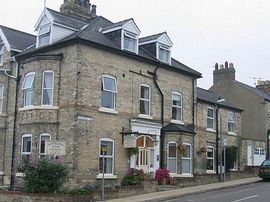 All the rooms are furnished with central heating, TV and tea/coffee making facilities. Pet Facilities: Pets are not allowed. We do not accomodate pets. Special Diets Provision: Special diets are catered for. Continental and Vegetarian diets available. Smoking Facilities: Smoking is not allowed. Smoking is not allowed. As you come out of the train station turn right, follow the road round and go up a slight hill to the traffic lights. Cross straight over the lights and walk down Nunnery Lane (the ancient city wall will be on your left). Stay on the pavement to the right hand side of the road as the road splits at the bottom. As you reach the end of Nunnery Lane turn right and walk past the shops, keep going straight and cross at the lights. Walk a little further past Sainsburys metro and take the first Right onto Southlands Road. Southlands is directly in front of you on the right. From the A1(M) join the A64 leaving to join the A1036 York(West). Carry straight on, passing the racecourse on the right, as you reach the top of the hill go through the lights. At the next set of lights, turn right into Scarcroft Road, when you reach the end, turn right at the lights and and then right onto Southlands Road. Southlands Guesthouse is directly in front of you on the right. A1 onto A59, follow straight ahead through the suburbs until you see the Iron Bridge, cross the bridge and turn right immediately after you have crossed. Follow the road round staying to the left at the lights, turn left and then move over to the furthest right hand lane to turn right into Scarcroft Road, when you reach the end, turn right at the lights and then right onto Southlands Road. Southlands Guesthouse is directly in front of you on the right. There is an hourly bus available from the airport to York Railway Station. 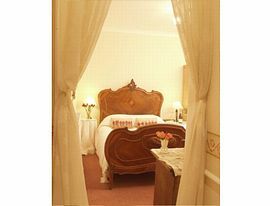 Double en-suite: £35.00 per person per night, breakfast included. Family en-suite: £90.00 per room per night, breakfast included.